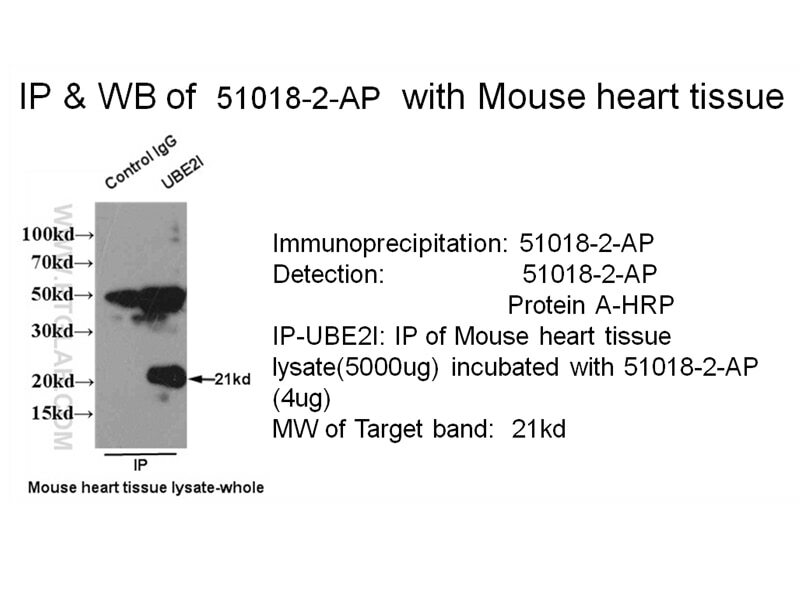 IP result of anti-UBE2I (51018-2-AP for IP and Detection) with mouse heart tissue lysate. 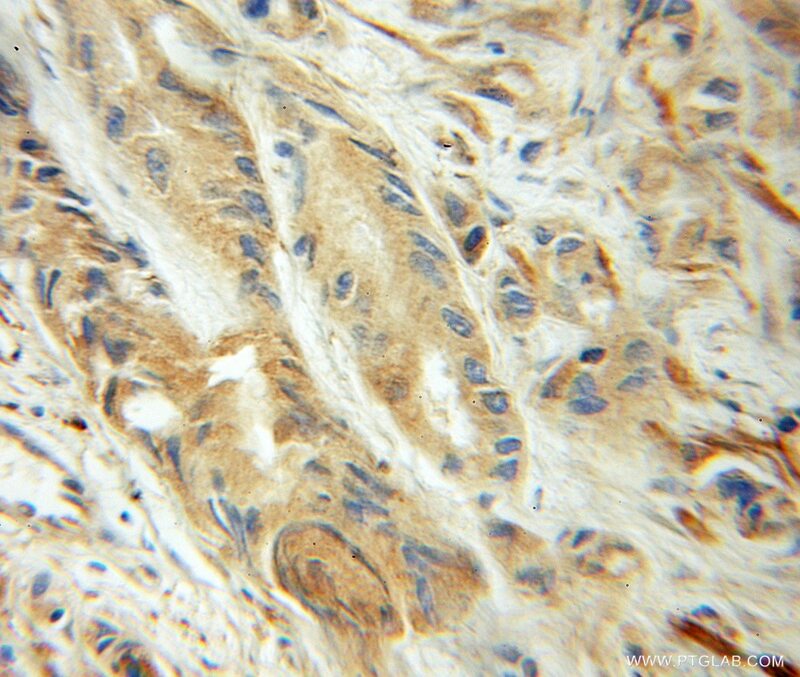 Pathogenic mutations in the Valosin-containing protein/p97(VCP) N-domain inhibit the SUMOylation of VCP and lead to impaired stress response. Foot-and-Mouth Disease Virus Counteracts on Internal Ribosome Entry Site Suppression by G3BP1 and Inhibits G3BP1-Mediated Stress Granule Assembly via Post-Translational Mechanisms.